Why do the brightest stars seem to burn out the fastest? A mere ten days after he was announced as the White House’s new director of communications, the Mooch has been fired by President Donald Trump’s chief of staff, General John F. Kelly. Anthony Scaramucci’s brief, brief tenure as White House communications director was marked by a series of scandals. 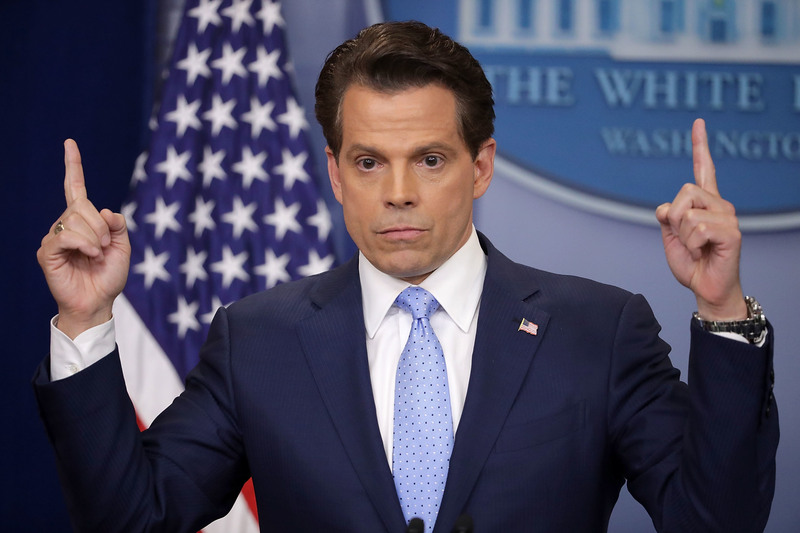 From an explosive, possibly coke-fueled interview with New Yorker correspondent Ryan Lizza, in which the Mooch ranted about “leakers” and suggested Steve Bannon was an auto-fellator, to the news that Scaramucci’s wife, Deidre, filed for divorce while pregnant, the Mooch made waves in the press and quickly became the target of numerous jokes on Twitter. So, naturally, when news of Scaramucci’s firing hit Twitter on Monday afternoon, users were quick to react. Reporter Glenn Thrush tweeted the announcement from his personal account just before the the New York Times dropped the full story. The initial reaction was, obviously, shock at the speed of the turnover. To paraphrase Hobbes, Mooch's tenure as Comms Director was nasty, brutish and short. Some even expressed sympathy for Scaramucci, who clearly rearranged some of his priorities once he was offered the communications director position. But most people stuck to making jokes about the Mooch, because, honestly, the entire affair is incredibly funny. While the New York Times posited that it’s “not clear whether Mr. Scaramucci will remain employed at the White House in another position or will leave altogether” at the end of their announcement, it’s probably safe to say that we won’t be getting as much of the Mooch as we were hoping for. Anthony "The Mooch" #Scaramucci, White House Communications Director (July 26, 2017 - July 31, 2017). The internet misses you already, you nutjob.